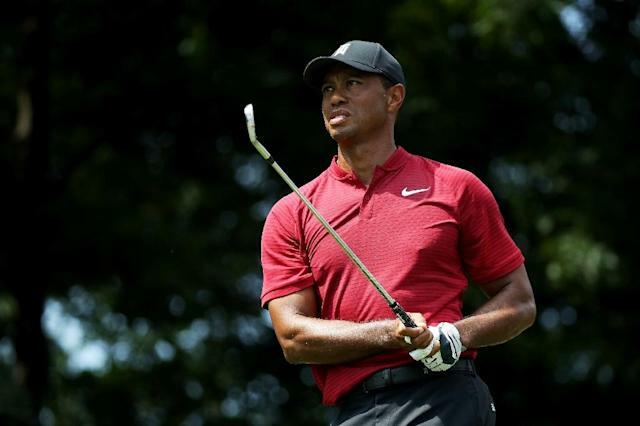 Paramus (United States) (AFP) - Tiger Woods stayed out of US President Donald Trump's feuds with NBA and NFL players after Sunday's final round of the US PGA Northern Trust tournament. Woods, a 14-time major winner in his first event since finishing second at the PGA Championship to fellow American Brooks Koepka, fired a final-round one-under par 70 to finish 72 holes on four-under 280 at Ridgewood Country Club. Woods was asked whether his relationship with Trump, with whom he has played golf, was "professional or personal." "Well, I've known Donald for a number of years," Woods said. "We've played golf together. We've had dinner together. I've known him pre-presidency and obviously during his presidency." Woods was then asked about how he would explain such a friendly relationship with Trump given his tightening of US immigration policies and ongoing feuds with NBA and NFL players. Trump has objected to NFL players kneeeling during the national anthem as a method of protesting racial inequality and social injustice and revoked White House invitations to NBA clubs after players said they would not attend what had been traditional visits before trump took office. "Well, he's the President of the United States," Woods replied. "You have to respect the office. "No matter who is in the office, you may like, dislike personality or the politics, but we all must respect the office." Woods was asked if he had anything more to say regarding the state of race relations and discourse. "No," Woods answered. "I'm just finished 72 holes and really hungry." Woods was then escorted to a waiting car and departed for his private jet and a flight home to Florida, where he plans a few days off and some putting work before Friday's next US PGA playoff event near Boston.